Bahubali: The Conclusion is probably the most awaited and anticipated movie of the year. Prabhas‘ act in Bahubali 2 will give you goosebumps. Social media has been abuzz with every latest update from the makers of Bahubali 2. The first song of Bahubali 2 has been released just a few days before the film is set to release. Riding high on the success of Bahubali, the much awaited Bahubali: The Conclusion is expected to break all records of part-1. In the trailer Prabhas impresses you with his convincing acts of horse riding, firing weapons and sword fighting. The trailer of the movie shows people of Mahishmati cheering for their King. Watch the famous Saahore Bahubali song on YouTube. The Saahore song’s Telugu version “Saahore Baahubali” and Hindi version “Jiyo Re Baahubali” both have been sung by Daler Mehndi. Music for the song has been given by M M Kreem. 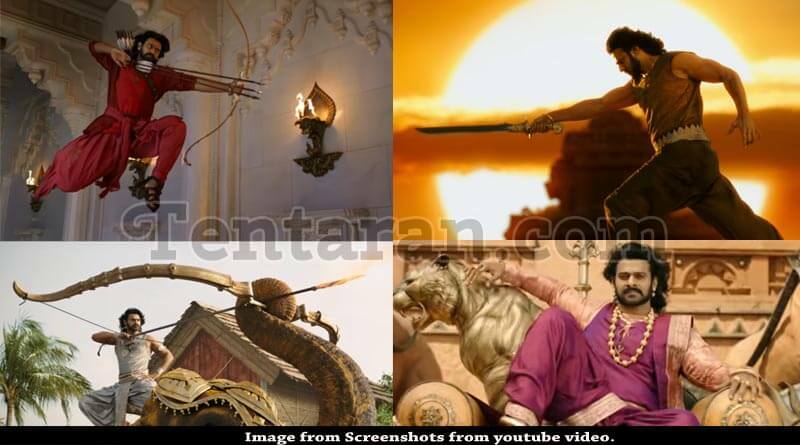 Bahubali:The Conclusion is directed by the famous Director S S Rajamouli. With Prabhas in the lead, the movie also stars Tamannaah Bhatia, Rana Daggubati and Anushka Shetty. Movie Bahubali:The Conclusions, being generally being referred as Bahubali2 is set to release on 28th April 2017.